Thousands of people avoid orthodontics because they can’t stand the thought of wearing braces. Many would prefer crooked teeth to the fear of wearing metal braces, or they believe wearing braces will be uncomfortable. One solution to this may be found by choosing Invisalign, a solution that renders braces virtually invisible. Invisalign aligners are comfortable, low profile, custom-made clear plastic trays and most people may not even know you are wearing them. As your teeth change and your smile improves. You will change aligners regularly, wearing them for 20-22 hours a day. Each aligner is only worn for a one- to two-week period, and appointments are only needed every eight to 12 weeks to pick up your next sets of aligners. Because of the convenience of being able to remove your aligners before each meal, you do not have to worry about the hassle of food getting stuck between your teeth like with traditional braces. Aligners can be removed to eat, drink, or brush your teeth. 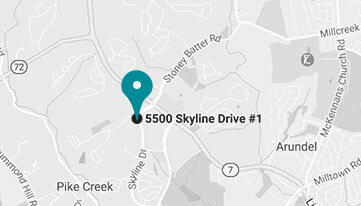 Dr. Rawlins – A Recognized Specialist in Delaware For Invisalign Treatments. Dr. Rawlins is a big fan of Invisalign and uses it often to create gorgeous smiles, but more importantly to instill self-confidence in his patients. People often ask, “Do we do Invisalign?” Dr. Rawlins does not “do Invisalign.” “Doing Invisalign” implies that all doctors who use Invisalign get the same results. This is simply not the case. Just as no two patients are the same, not all doctors are created equally either. 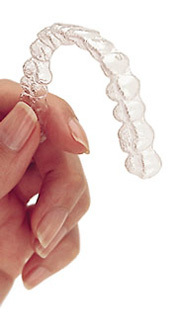 Invisalign is simply a product that if used skillfully can assist in creating a beautiful smile. For you artists out there, it is not the paint brush or paint that makes the masterpiece, it is the painter. Likewise, for you athletes, it is not the golf club that makes the hole in one. It is the golfer. We use Invisalign as a means to create your beautiful smile. Dr. Rawlins provides the time to apply his expertise to deal with your unique needs and to meticulously design YOUR smile with Invisalign. His commitment to the highest level of care and experience means you can trust your smile to Rawlins Orthodontics with confidence.